I had the pleasure of meeting Satomi Morimoto a couple of weeks ago. I saw her at Teatro Timanfaya where she played jazz with ST Fusion, then a couple of days later when in a classical trio OpenART Ensemble she played music from the film Amelie and the modern tango of Astor Piazzolla. She is an amazing jazz and classical pianist, and has an incredible voice. Film is at her house, then centre of La Laguna. The typical nativity scene is a stable, a manger, a few forlorn figures looking on. Not in Puerto de la Cruz. In the centre of Puerto de la Cruz, on the south side of la Plaza Concejil is dominated by la Casa-Palacio y Torreón de Ventoso (18th century). Formerly (c 1750) the house of a merchant engaged in the import export trade. The lower half of the house also served as a warehouse, hence its substantial construction. In the 19th century the house served as the Bremen Consulate. La Palacio Ventoso is now the San Agustín religious college. At the back of this house can be seen a tower – Torreón Ventosa. It is an outstanding example of its type, the only other comparable tower is at Garachico. The tower has recently been reconstructed, though not open to the public. The original purpose of the tower is reputed to have been to enable the merchant to see approaching ships before anyone else, nip down to the harbour and strike the best deal – probably a tall tale. Casa-Palacio y Torreón de Ventoso is not not usually open, but currently open, entrance free. Within, in different rooms, streets, workshops, markets, workers, streams flowing through. Admission is free, but please give a donation. Thomson website gives a description of Hotel Be Live Tenerife. Only one problem, it fails to match reality. The Be Live Tenerife Hotel is reserved for adults, so a peaceful environment’s guaranteed. Thomson are dumping clients on a hotel that is a building site. Apart from the noise of the building work, which gives you an early wake up call, there are other major problems of noise. Around the pool, unpleasant arrogant entertainer blasts guests out with loud music, deafening at midday, plus shouting on a microphone. In the lounge, noise from dire so-called entertainment, plus entertainer shouting on a microphone. Impossible to relax either in the lounge or by the pool. Clients are driven out of the hotel or up to their rooms. Peaceful environment guaranteed, must be Thomson’s idea of a sick joke. There’s a buffet restaurant with outside seating. There is a buffet restaurant. There is no outdoor seating. There is a reserved area of the restaurant, for which clients have to pay 15 euros per person per day to sit in. It is not outside. The hot meals leave much to be desired. Often cold. Dishes are labelled. Often the labels are wrong. Restaurant is unbearably hot. Either no air conditioning or it is not working. At night, chefs rustle up meat and fish to order. No food is cooked to order either by chefs or at night. At dinner in the evening meat, fish and poultry is cooked on a hot plate. Often it is under-cooked, blood in the interior, a serious health hazard. When cooked, it is piled up on a metal tray to get cold. The tray balancing on a metal rail from where it could easily topple over onto the client scalding with hot fat. The fish is not labelled other than to say it is fish. Every couple of days meat dish is disgusting processed meat. If you fancy a workout, the hotel has a small gym you can use. Dilapidated equipment in the gym. There’s an L-shaped pool and a handy bar to complete the scene. Yes, there is a pool. No mention of guests packed in like sardines due to building work, no mention the water is cold, or the loud music blasting out around the pool, deafening at midday, or the brain-dead entertainer shouting on a microphone. Impossible to relax. No mention of the grassy area beside the pool, for which clients are being charged 15 euros per person per day to use. Threatened by an aggressive lifeguard and ordered to leave should you venture into this area. Away from the pool, there’s a first-floor terrace where you can take in the sun. Yes, there is a sun terrace only cannot use because the hotel is a building site. A good-size pool offering a sun terrace, sunbeds and parasols. Define good-size pool. It is quite small. You will be lucky to get a sunbed even luckier to grab a parasol. When it rains, each sunbed covered with a pool of water. No one bothers to tip up the beds drain the water, wipe the beds dry. The sun terrace is not not by the pool, it is in another outdoor area and out of use because it is a building site. As a result clients packed like sardines around the pool. The resident band usually gets people on their feet. There is no resident band. The so-called entertainment does an excellent job driving people out of the lounge. Yes, there is a lounge only unusable due to noise in the lounge from so-called entertainment and entertainer shouting on a microphone. The reason the nuisance in the lounge, ballroom is sealed off, ceiling has collapsed, rubble on the floor, scaffolding poles holding up concrete beams. No wifi in rooms. There is wifi in reception lobby. It is not free. A charge of 4 euros per hour to use. Free wifi in local bars and coffee shops for the price of a drink. No there is a not a library. There is a room with a few books that guests have left. Room unusable due to noise from so-called entertainment and entertainer shouting on a microphone. There is a grassy area beside the pool for which clients are charged 15 euros per person per day to use. If you access without paying, ordered to leave by an aggressive lifeguard, who otherwise sits in the pool bar all day. Friday evening, sunset over Tenerife. 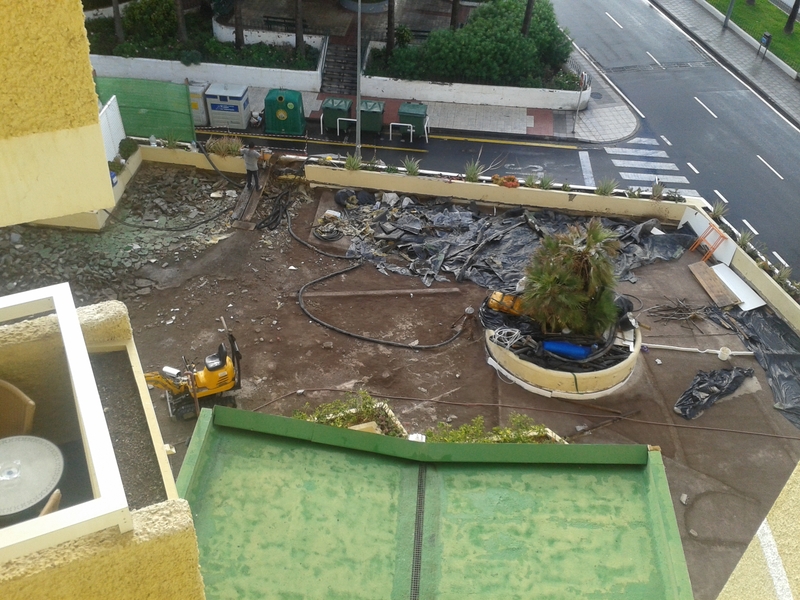 Thursday night, the appalling entertainment at Hotel Be Live Tenerife did an excellent job of emptying the lounge. Not a single person in the lounge. The entertainment would normally be in the ballroom, but the hotel is a building site, large areas out of use, including the ballroom where the ceiling has collapsed, rubble on the floor, concrete beams held up by scaffolding poles, and all this week, noise of power tools hacking away at concrete columns. Usually seats in the lounge are at a premium, after dinner guests fighting to find a seat, but not anymore. It is not possible to relax, read a book or chat with friends. Guests go to their rooms or go out to escape the noise. Entertainment this bad is to insult the guests, who as can be seen, vote with their feet. Why not simply heed the wishes of guests and scrap this awful entertainment? But then that would require competent management, a recognition of the need to be client focused, something that is lacking at Be Live. In Tenerife, indeed anywhere in Spain, every shop, bar, restaurant, coffee shop, has to have Hoja de Reclamación, official complaint form. If requested, it has to be given to fill out. If refused, they claim they do not have, do not know where it is, an offence is being committed, and should be recorded on the complaint form that it was refused. If you have a problem, bad service, then please request the Official Complaint Form. Fill out, or on separate sheets, you keep one copy, one goes to the establishment, two copies to government for further investigation. Should you have any problems obtaining, inform the local tourist information office. 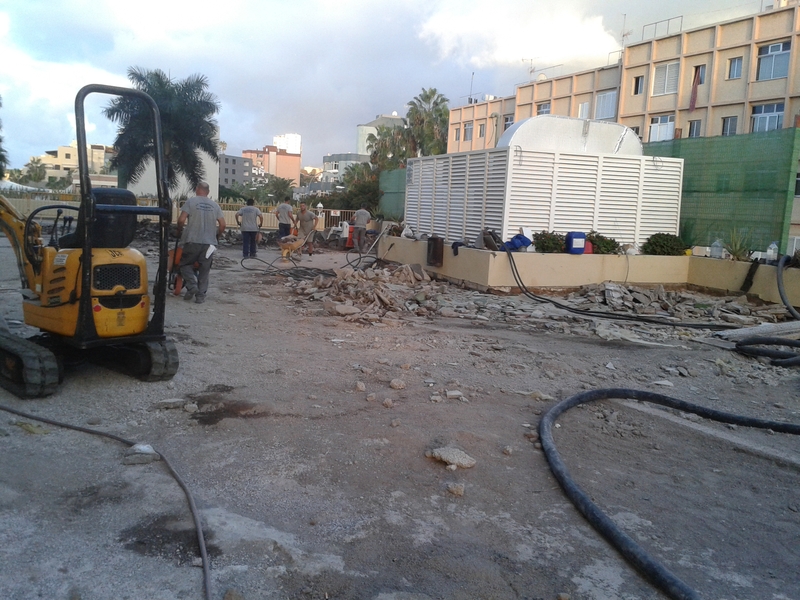 When Hotel Be Live Tenerife, currently a building site, but still open to clients, was asked by several different guests for the Official Complaint Form, they were given the hotel client survey form. Every Saturday and Wednesday a market, fruit and vegetables, books, wine, cakes, bread, tools, clothes, honey, junk, everything you could wish to find. Wednesday is smaller than Saturday, though last Saturday very small due to heavy rain all morning. A middnight wander around around all but deserted fun fair beside the harbour in Puerto de la Cruz. My main reason for jazz at Teatro Timanfaya was to then dine out. It had been a hot day and was a very warm night. I had considered eating at Los Gemelos. But was pleased I did not. Dinner at El Maná excellent. Augusto Báez Trio en concierto en Teatro Timanfaya en Puerto de la Cruz en Tenerife. I am no great fan of jazz, I find all sounds tbe same. But having said that, I have enjoyed jazz at Bambi Apartments and at Abaco, where some great musicians have played. Tonight was beyond boring, it eas awful. It was mush that all sounded the same. When David Gilmour plays, one can at least tell what he is playing. Not though tonight. The sound quality was poor, as was the sound balance. It is not often a guitar drowns out the bass. It is usually the other way around. A grave disappoint compared with ST Fusion of last week. You are currently browsing the archives for the Puerto de la Cruz category.